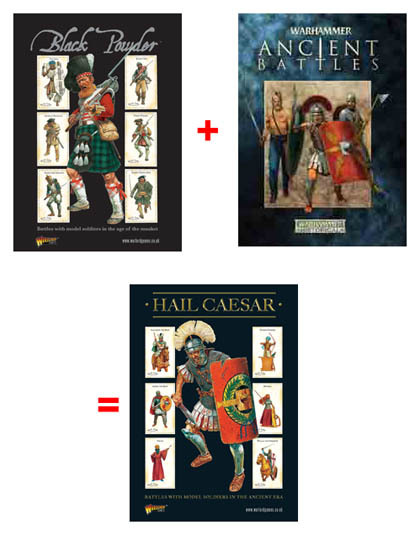 Is it my imagination or does the cover of the new Hail Caesar rulebook look like the love child of the Black Powder cover and the WAB2 cover? I played a game of WAB last weekend. My Romans vs. Selucids. I've got some photos & a report to post, but just haven't had the time to do it this week.